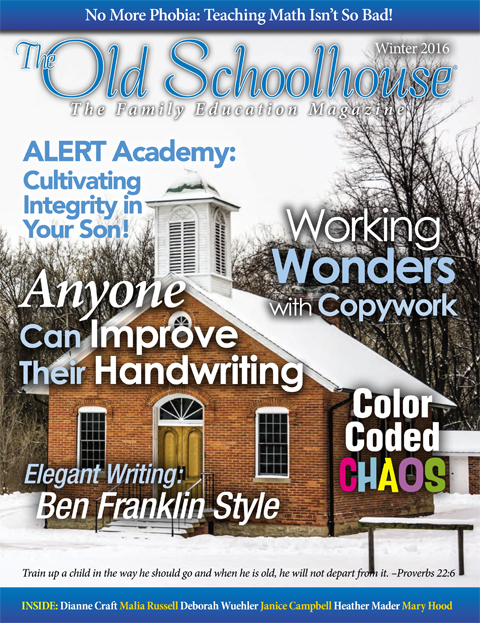 The Old Schoolhouse has been around since 2001 and began as a quarterly print magazine. Now it is a very thick (almost 300 pages) annual print magazine found in stores like Target, Barnes & Noble, Hastings, Krogers Grocery Store, and Books A Million. It’s also available in a quarterly digital format found online and in app readers such as Apple, Android, Kindle Fire, and the Nook. Queries should be submitted electronically using the forms provided on our website. We strongly discourage multiple submissions of query letters (sending the same query to several publications at once). Queries submitted to TOS should be written specifically for our publication. Your article must be an original article that has not been published elsewhere previously, including on your blog or website. Contributing authors receive $50 for articles with a maximum word count of 800. Please read the guidelines for authors and use the web form to submit your query.